On the 23rd of September two Finnish volunteers of BRC had a day off exploring the bird diversity of Chorokhi delta. We were blessed with a good weather for the stop-by vagrants; strong south winds and a few rain showers. The strong wind did not help us to find small passerines, but luckily the wind calmed down by the end of the day and we had some shrikes and whinchats on our list. We started the day by following the river to the delta and the seashore. By the first hours we were amazed by the diversity of birds – nothing really extraordinary, but nice species popped up here and there. Since we had never visited the place before, we headed to the ponds after the delta. By the hints given by other birders, we were a bit disappointed with finding not a single bird from the ponds! Accompanied by heavy rain, we headed nearer to the dumpsite (at least some gulls around) and back to the shoreline. Also the hunters had noticed the suitable weather for stopping vagrants. Gunshots were constant (but not continuous) part of the soundscape, as hunters occupied every part of the area. 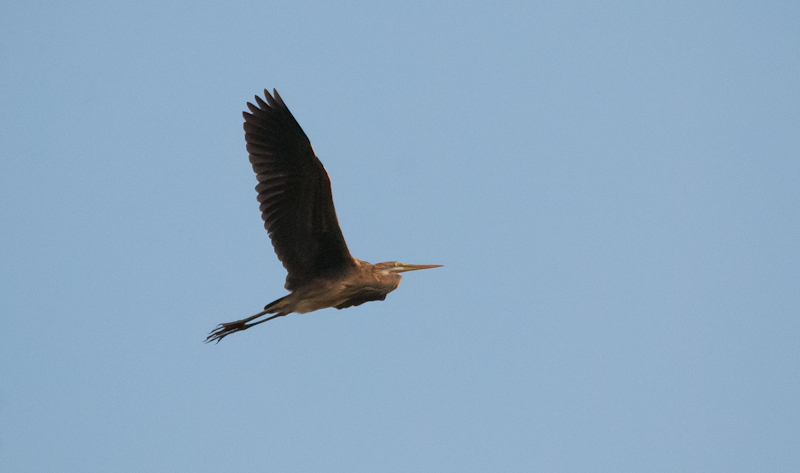 Some of the shots came less than 10 m away from us and we saw the first Purple Heron of the day going down. Even though we felt the atmosphere somewhat controvert, the hunters we met were very friendly and polite. For us, the highlights of the day were Squacco Heron, Siberian Stonechat, Tawny Pipit, Whiskered Tern, Gull-billed Tern, Yelkouan Shearwater – and of course the juvenile Peregrine spreading panic and chaos among passerines and waterfowl. Overall we found our species list interesting and very variable for such a small area, the place itself fascinating with its different habitats. Nevertheless the presence of the hunters, we had a great and refreshing day as a nice part of the stay in BRC.